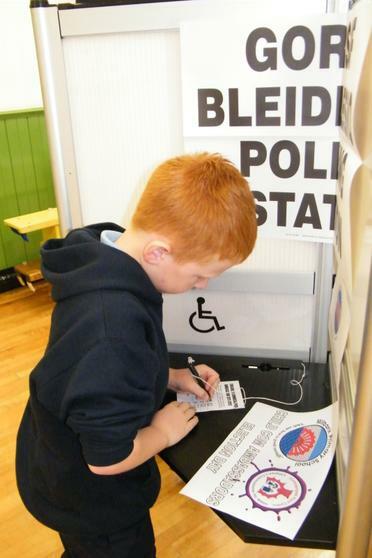 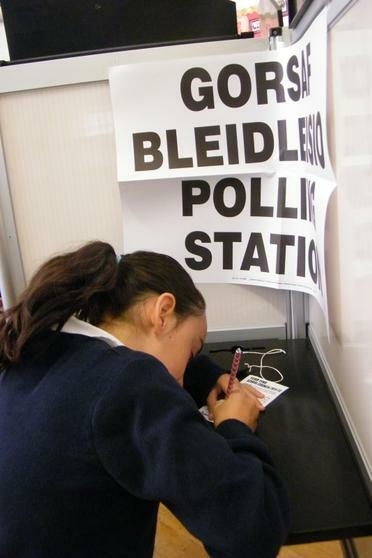 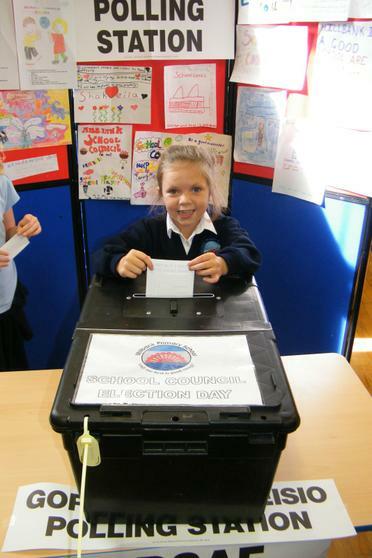 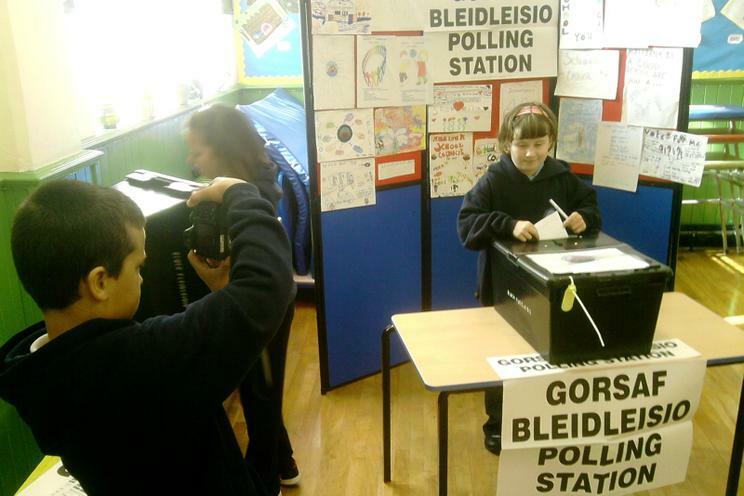 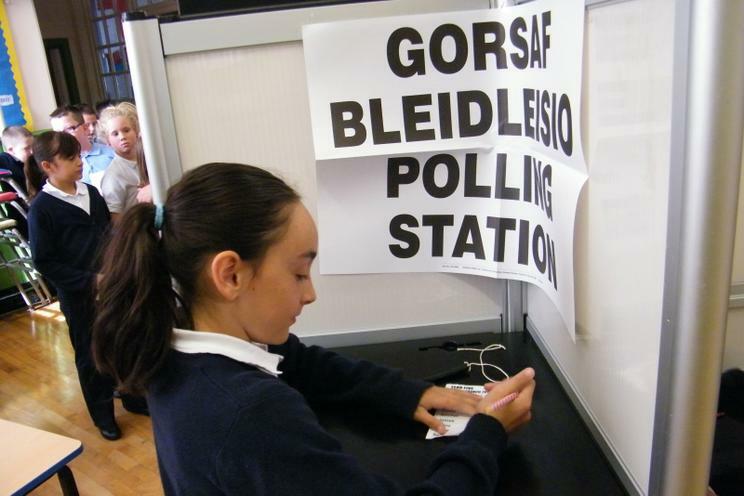 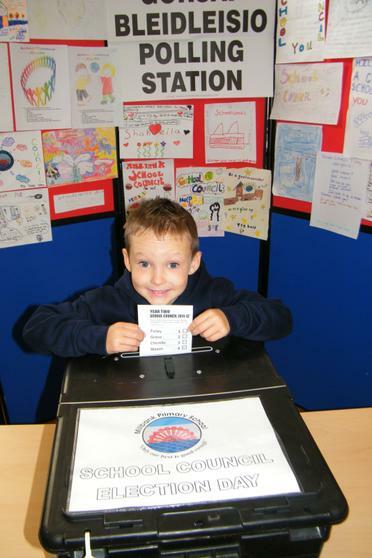 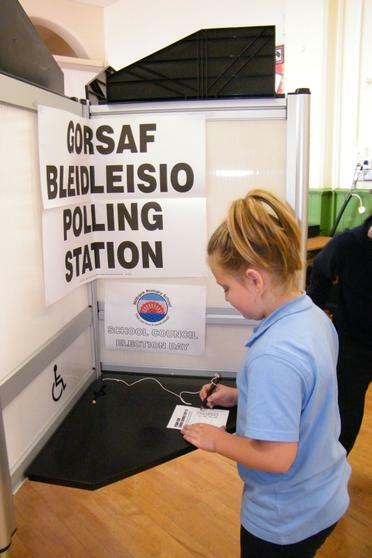 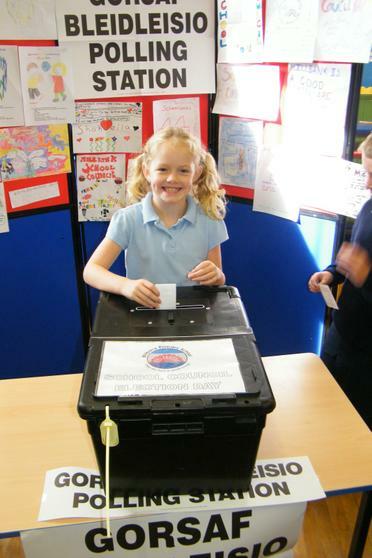 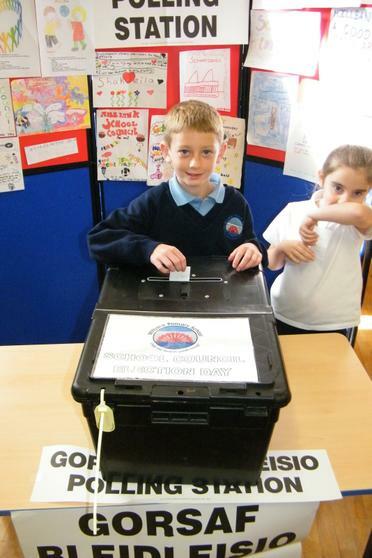 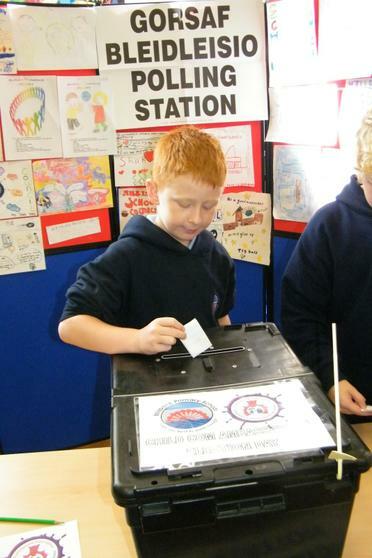 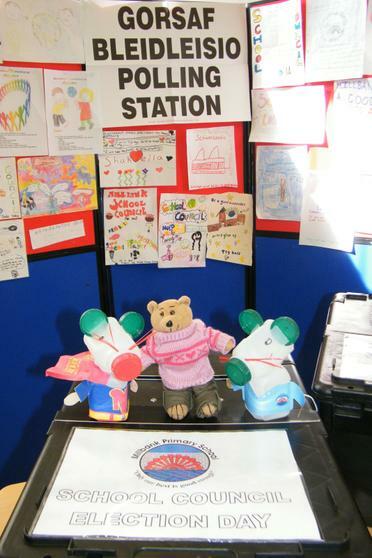 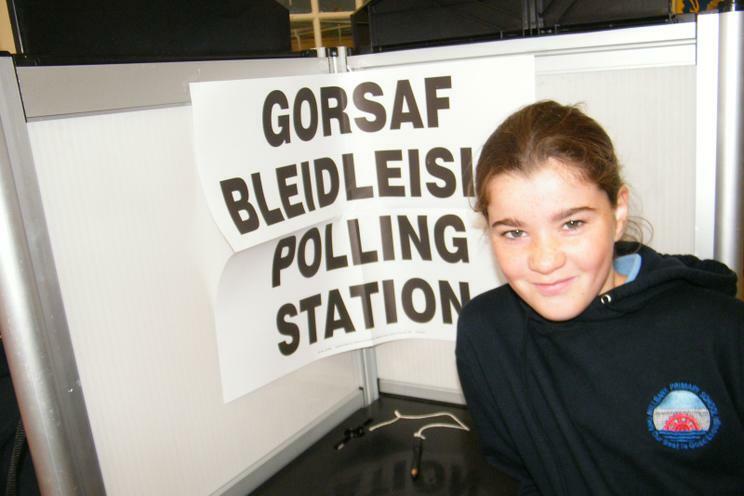 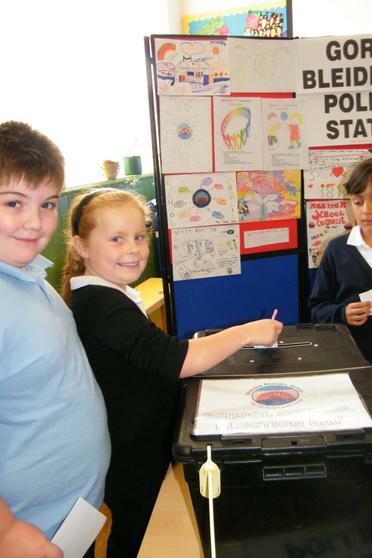 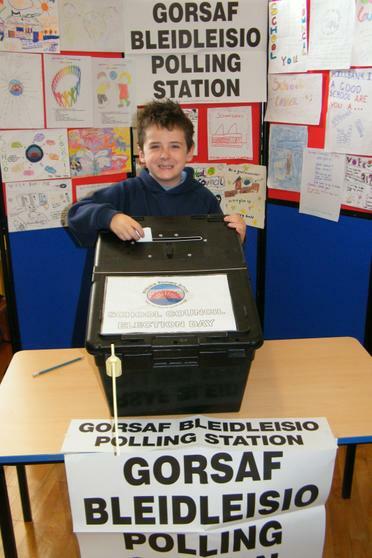 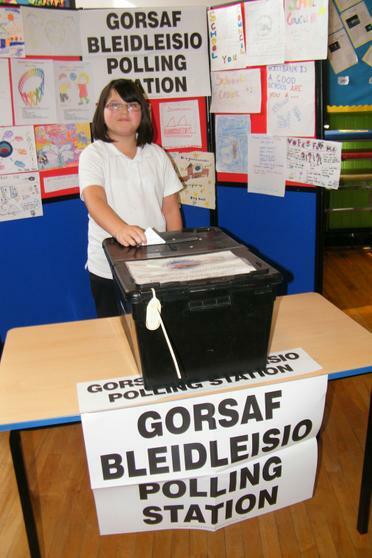 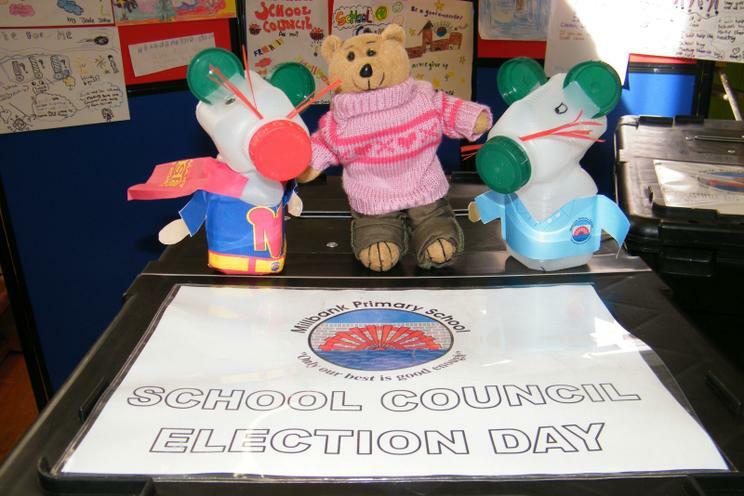 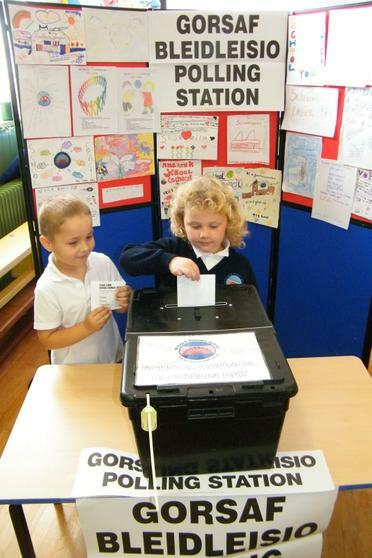 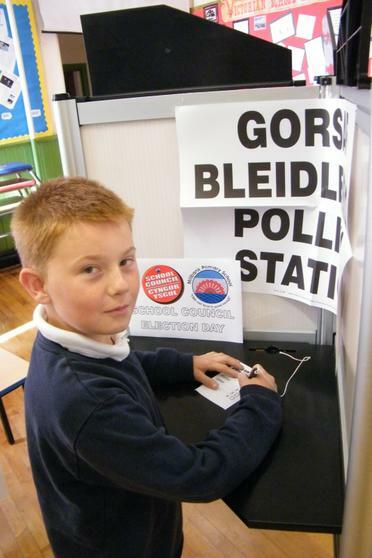 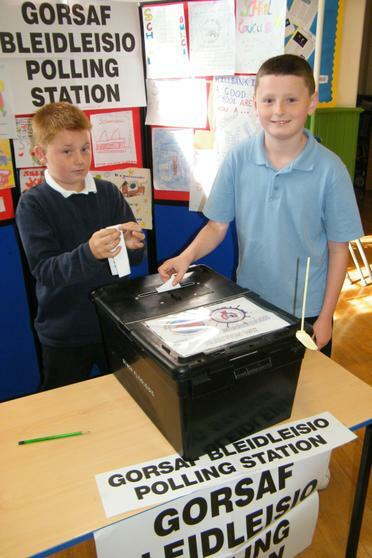 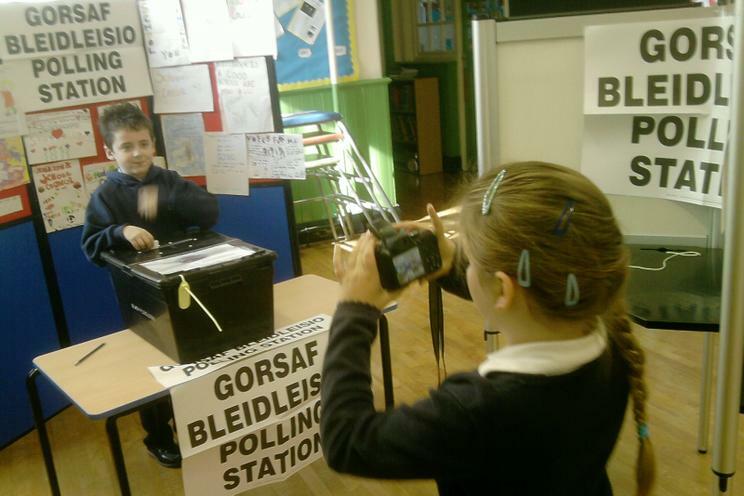 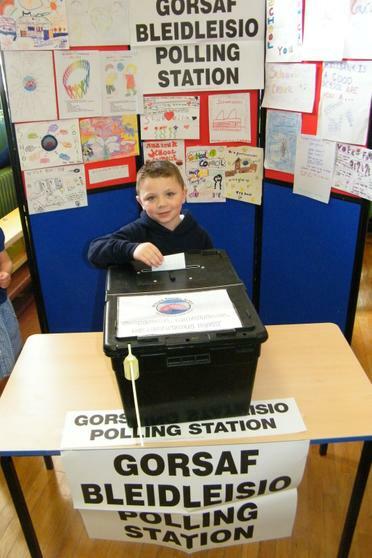 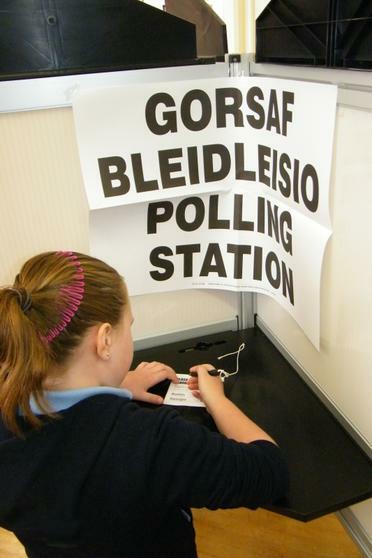 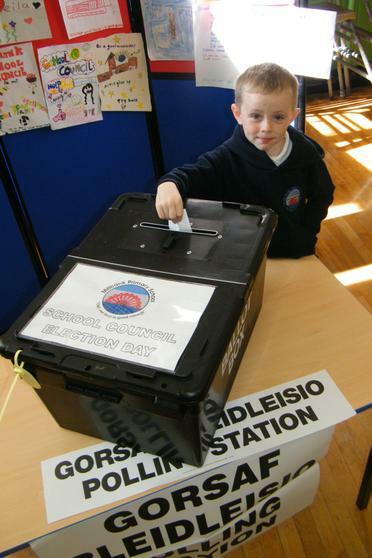 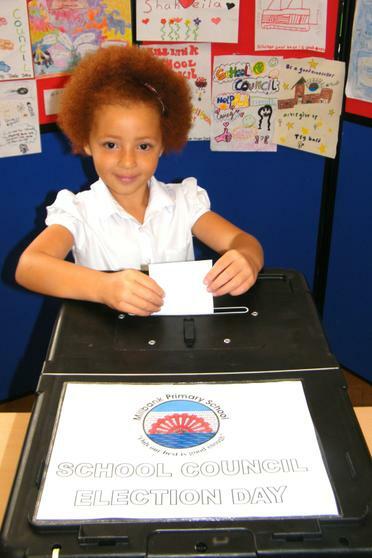 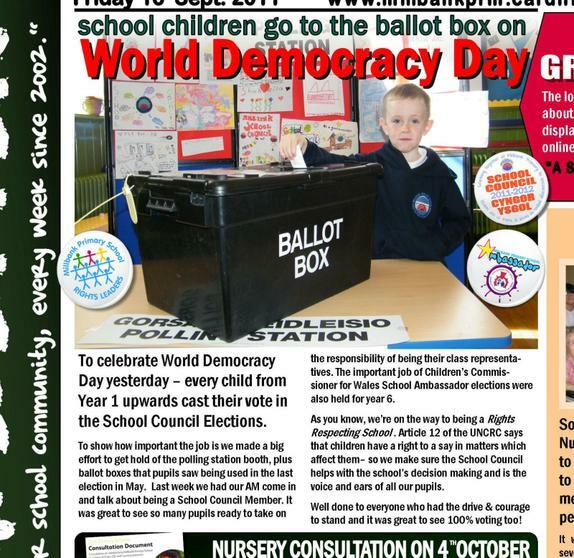 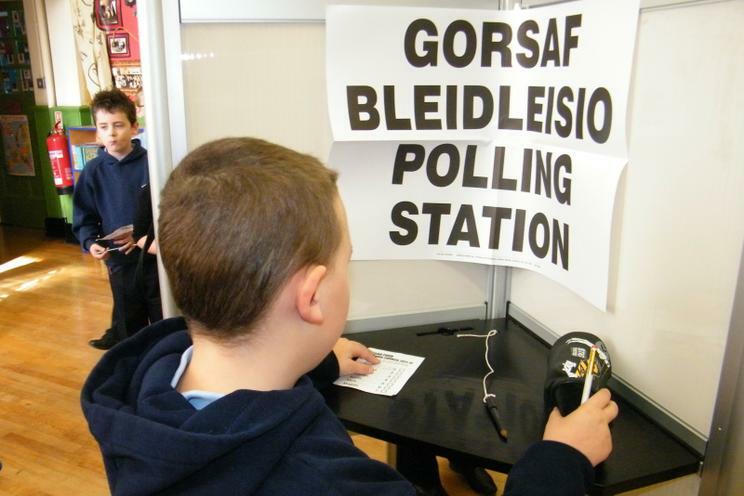 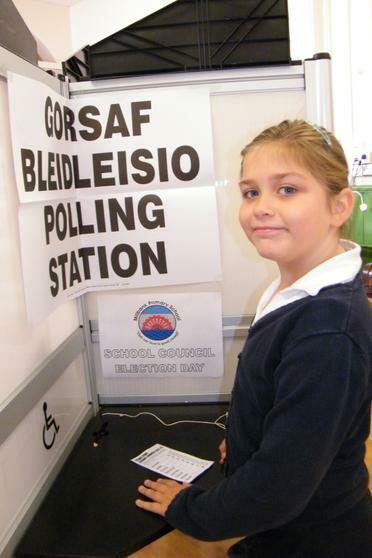 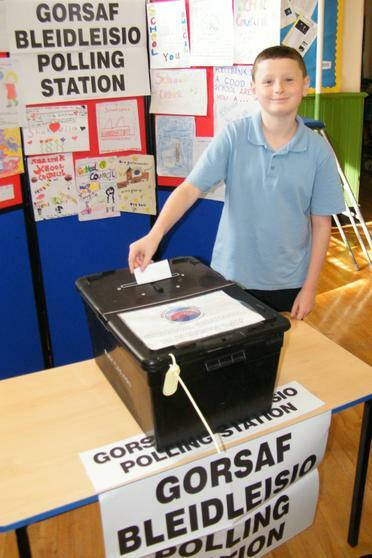 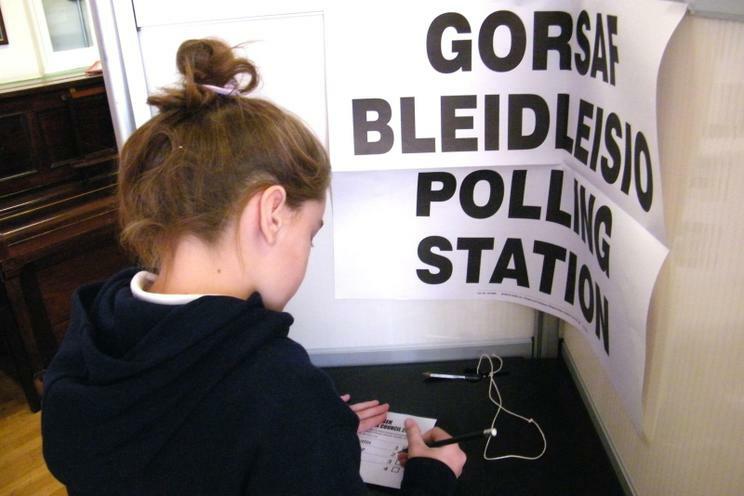 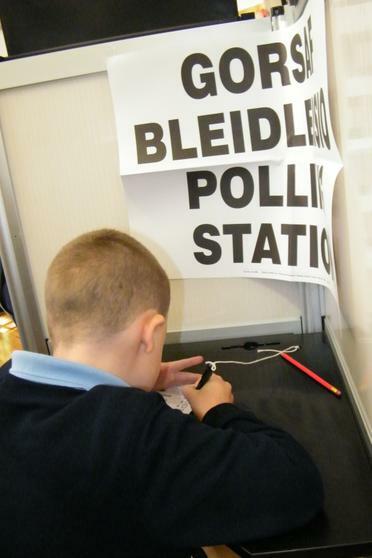 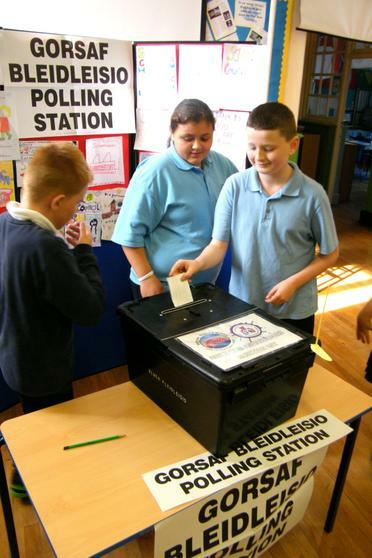 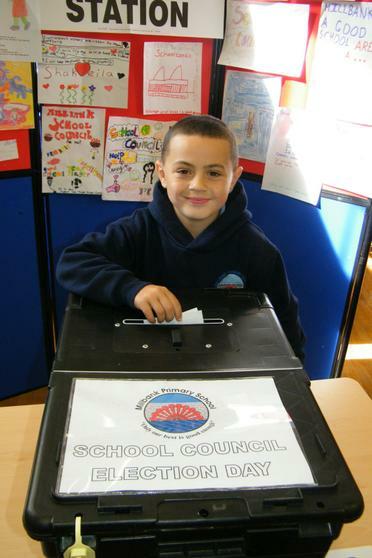 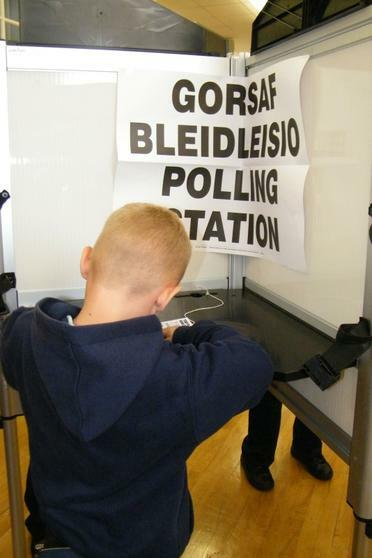 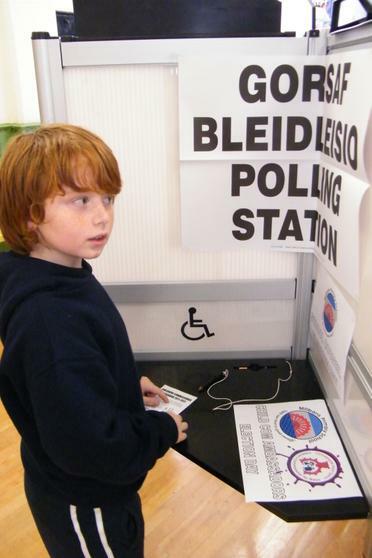 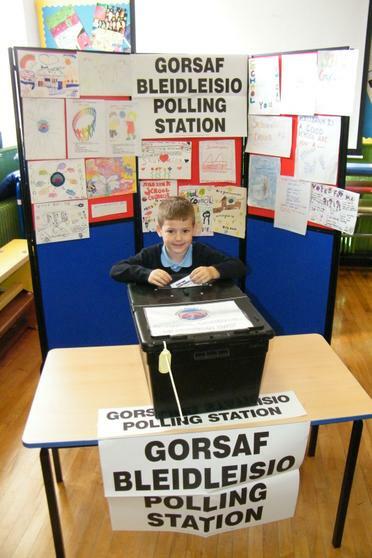 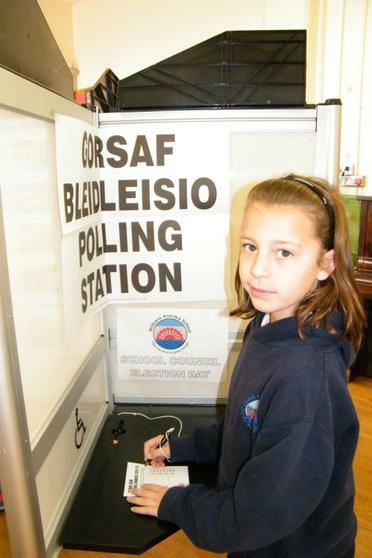 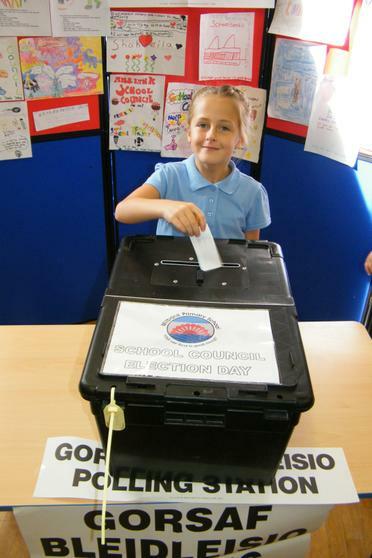 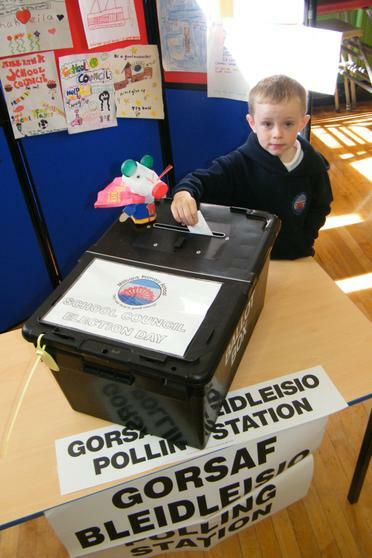 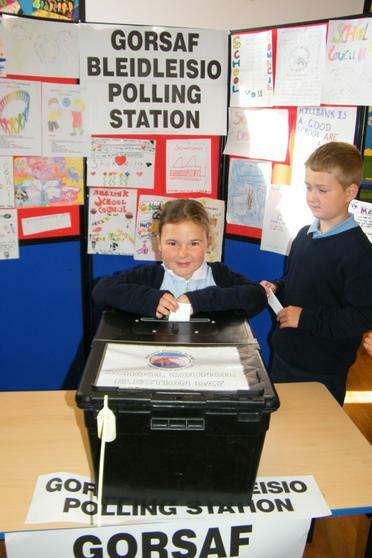 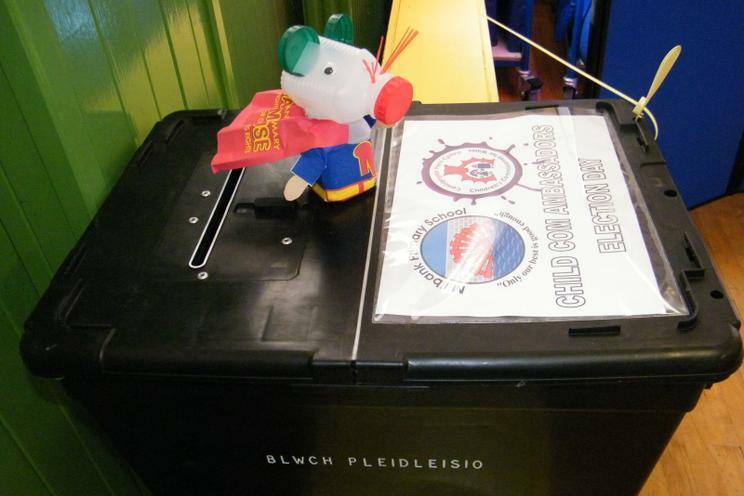 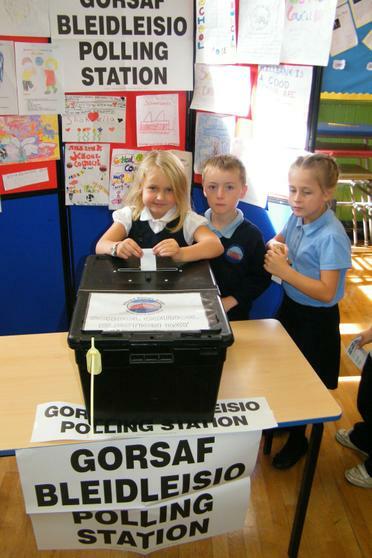 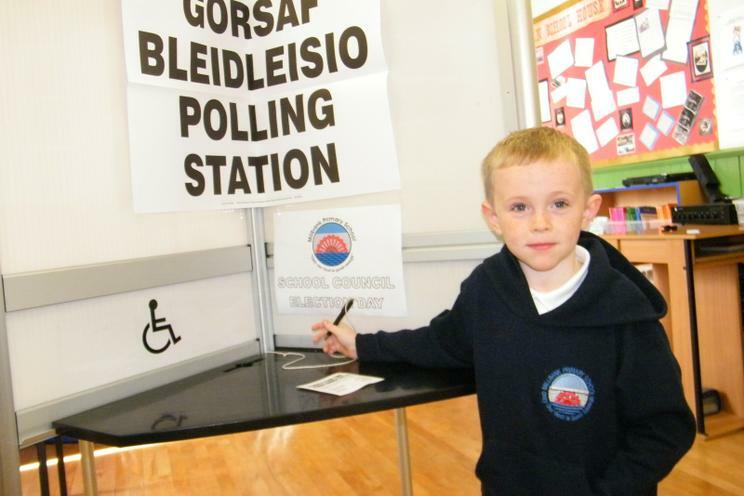 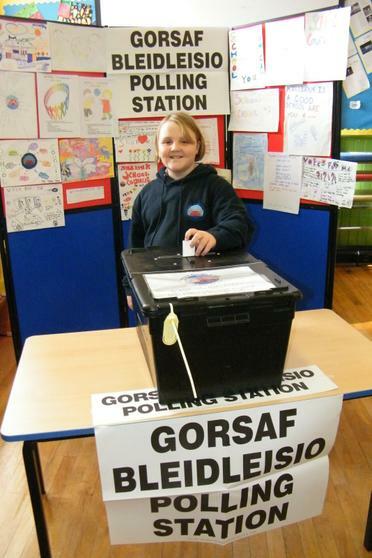 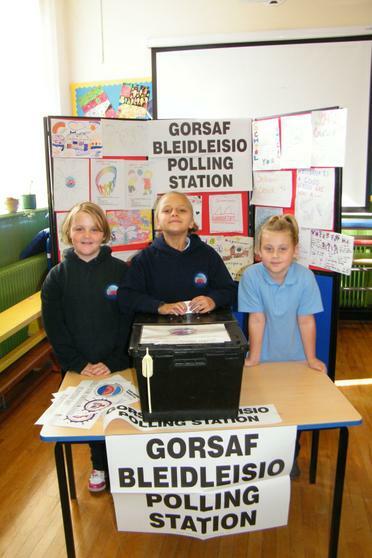 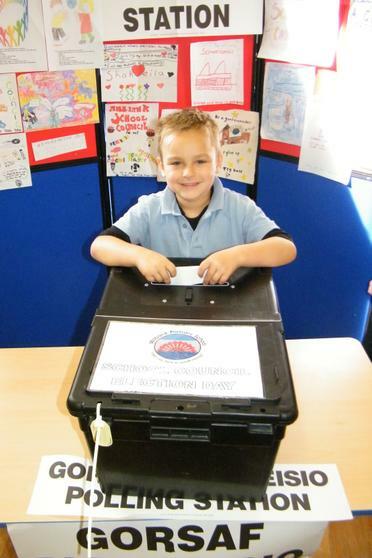 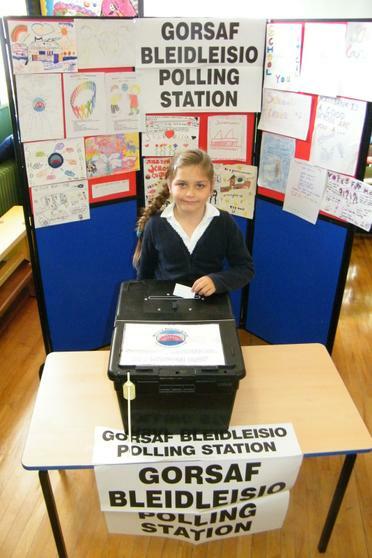 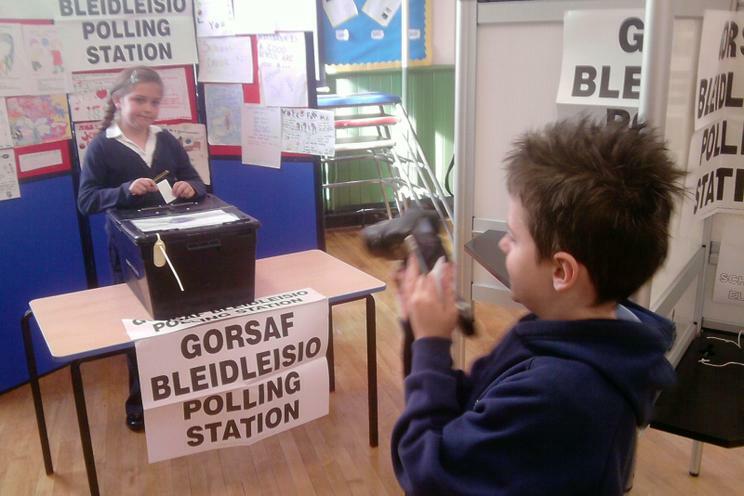 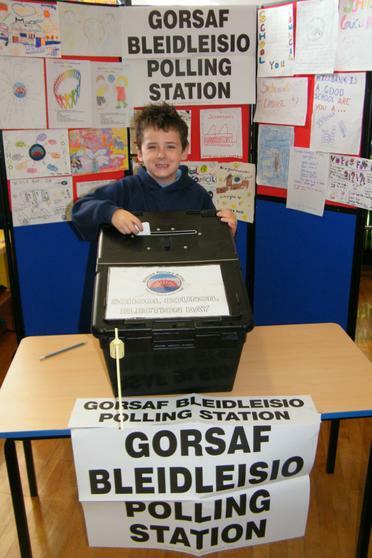 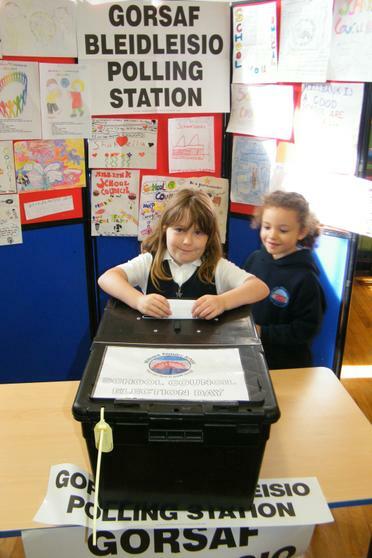 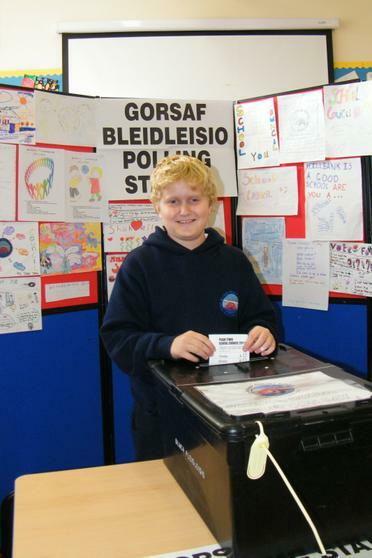 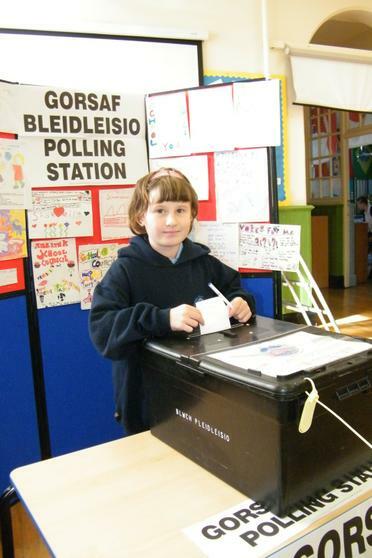 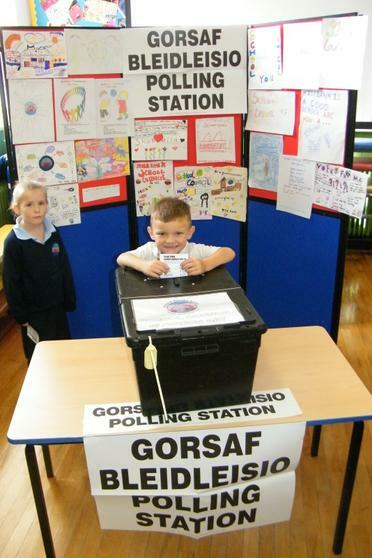 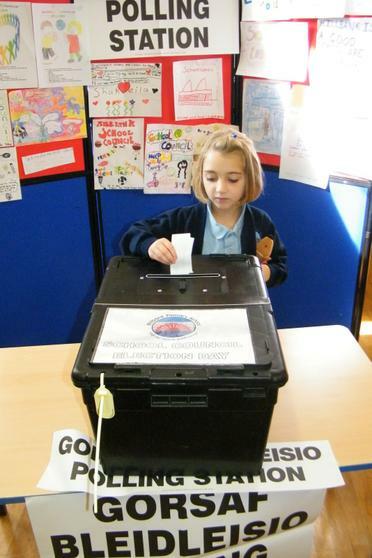 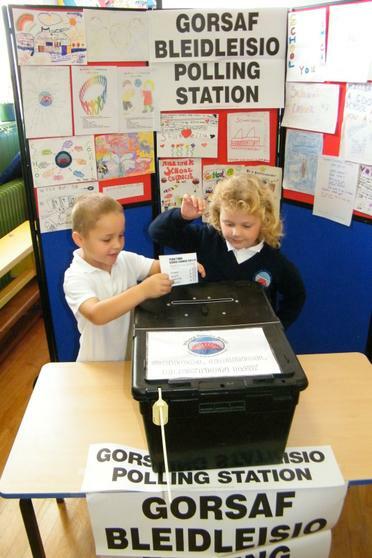 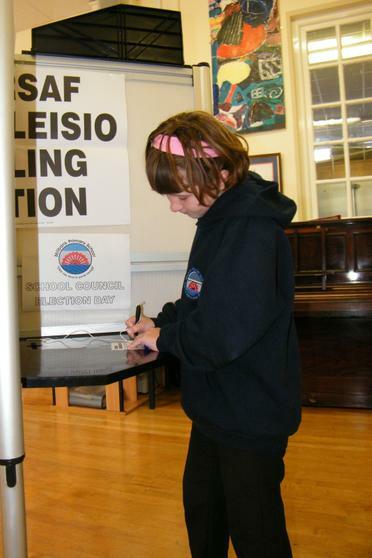 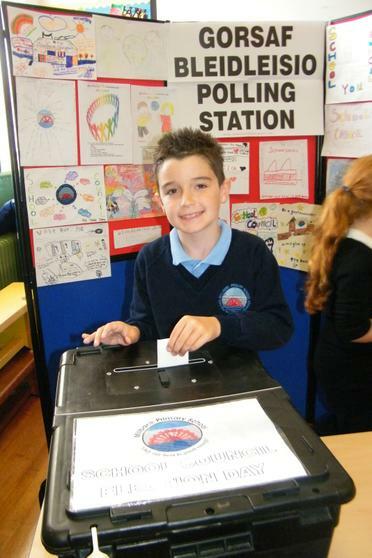 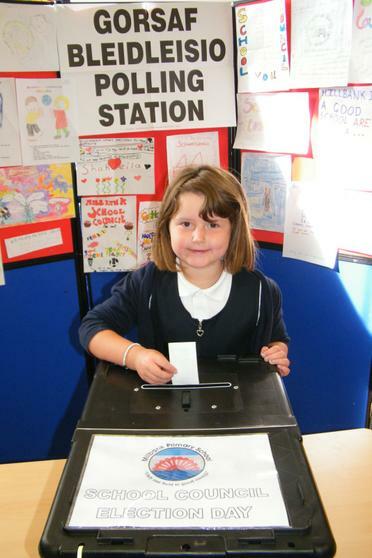 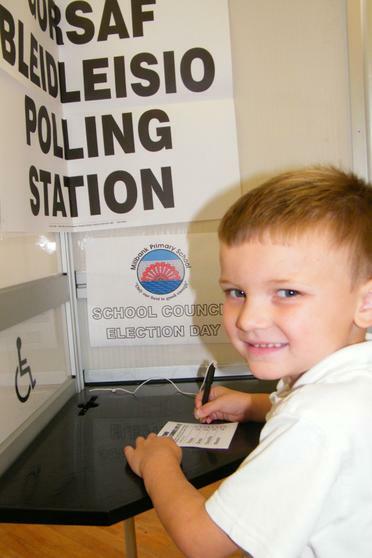 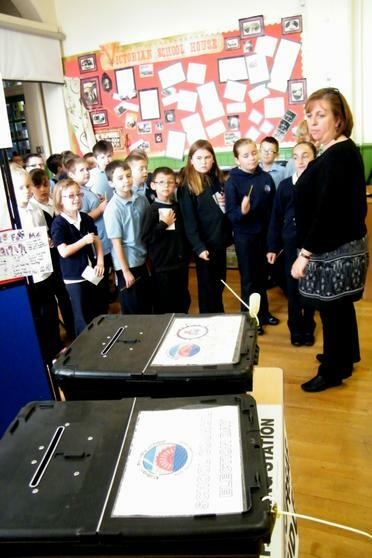 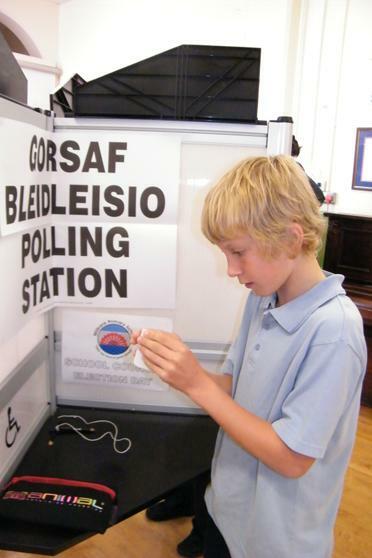 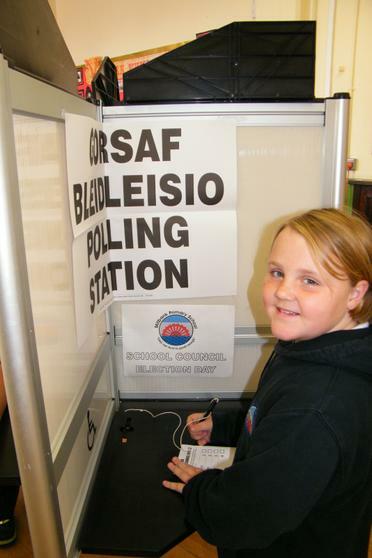 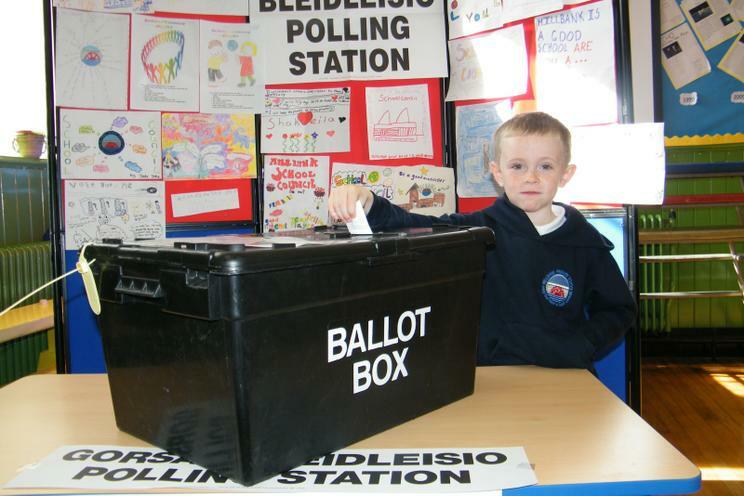 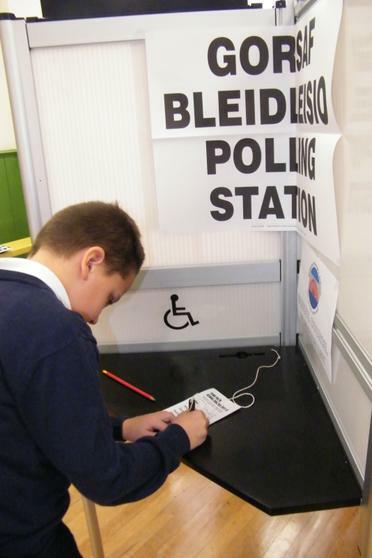 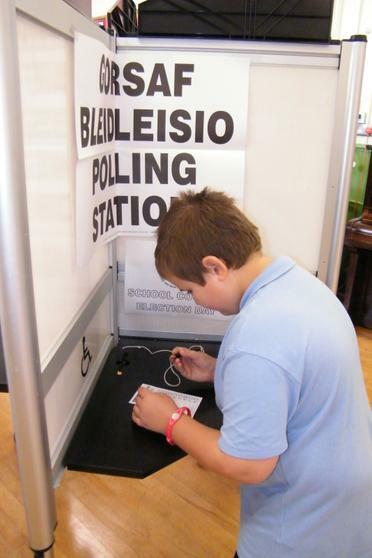 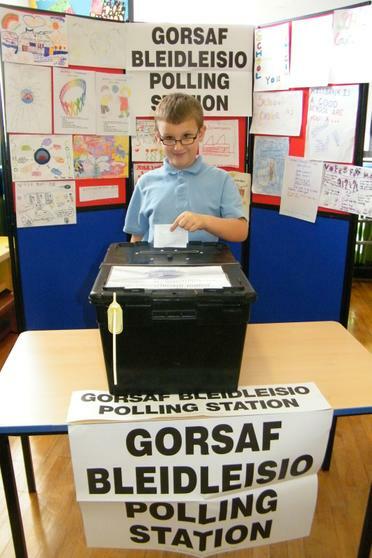 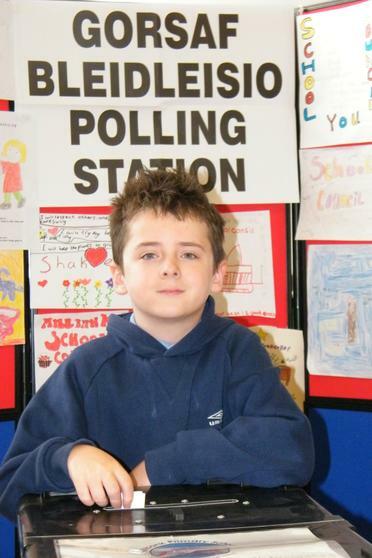 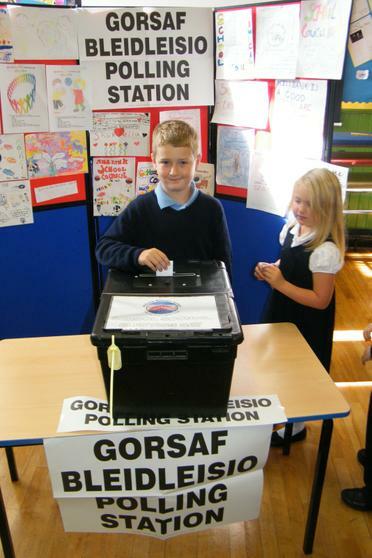 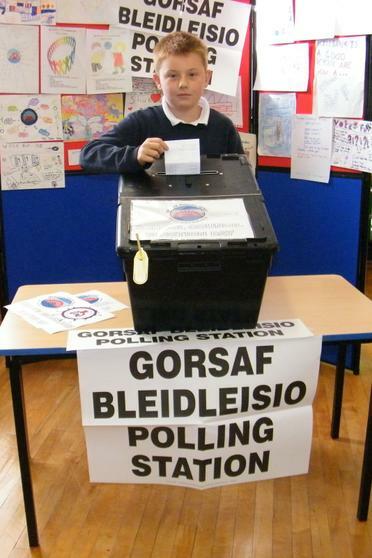 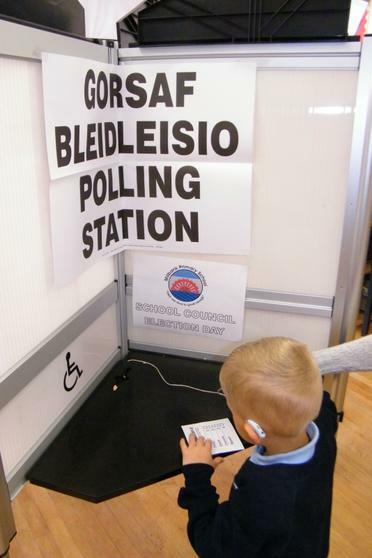 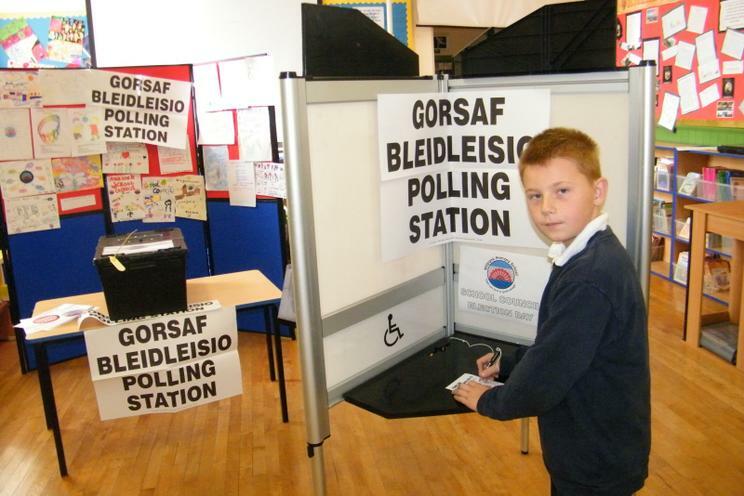 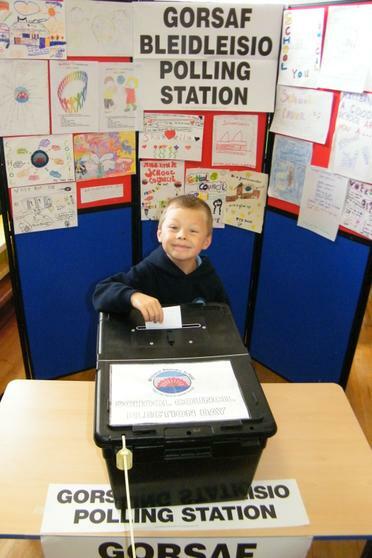 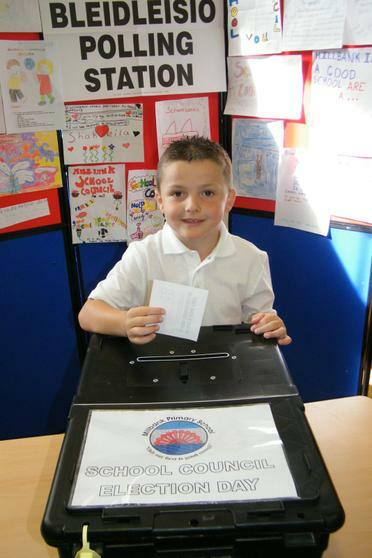 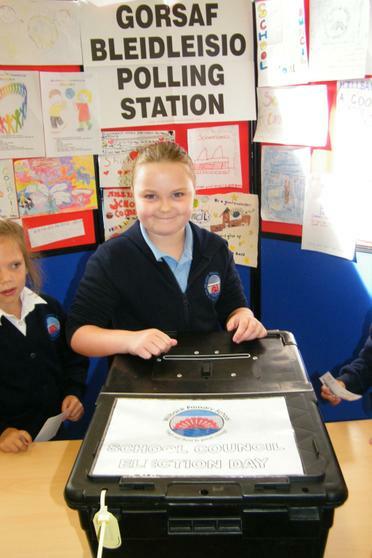 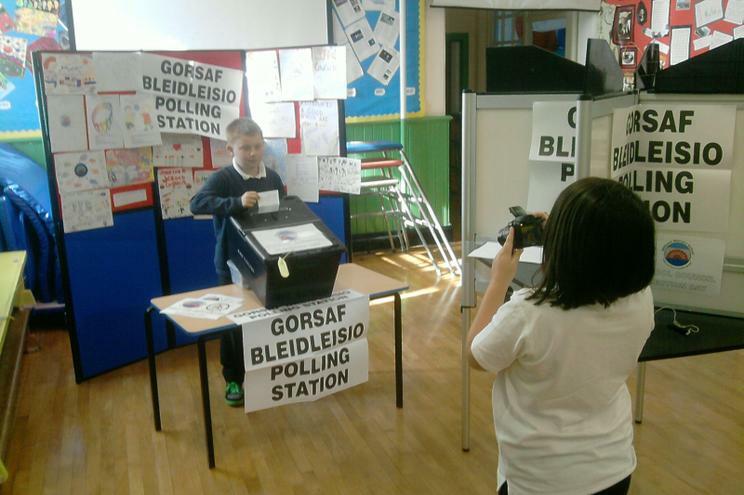 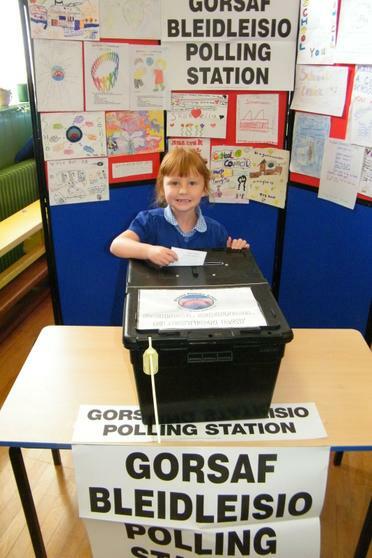 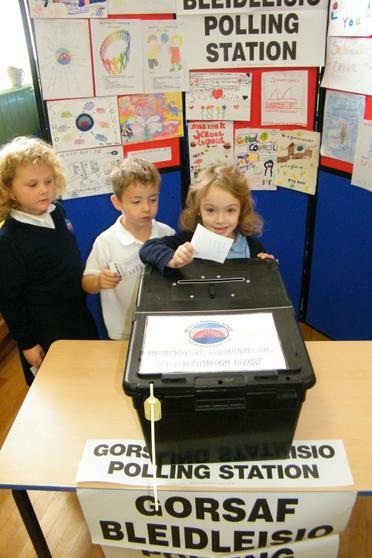 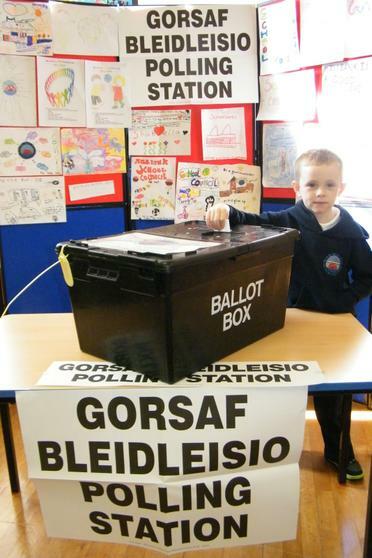 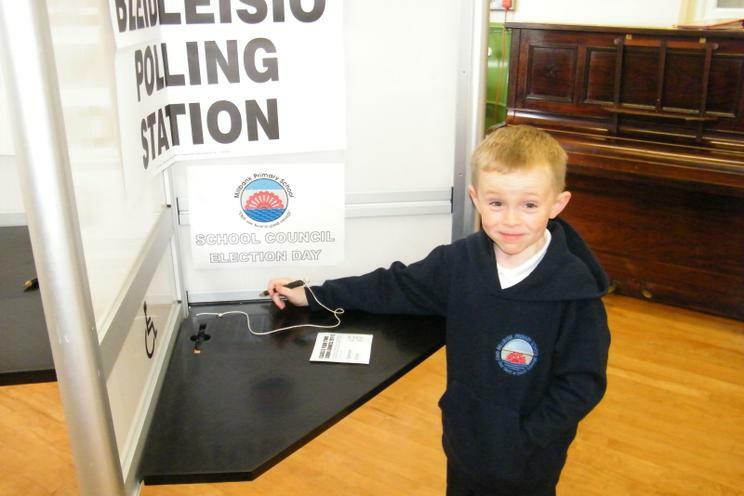 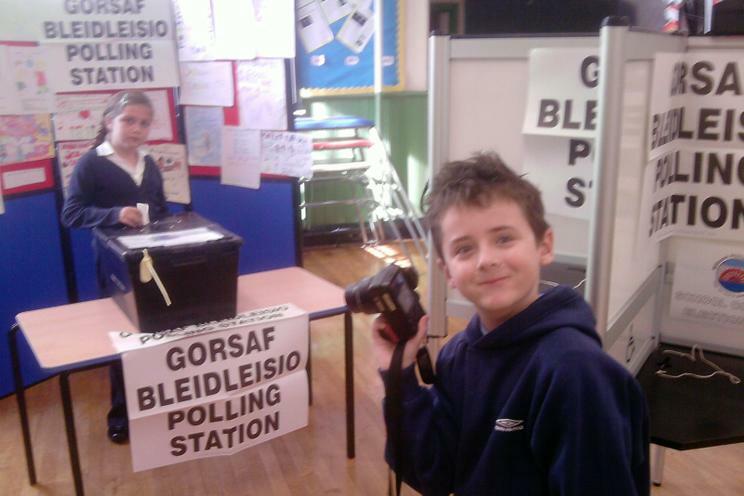 In order to demonstrate to all the children just how important we think the School Council and the Children's Commissioner Ambassadors are we had a special election on International Democracy Day 15th Sept.
We had borrowed the same polling station booths and ballot boxes that we saw being used in the Welsh Assembly election in May. 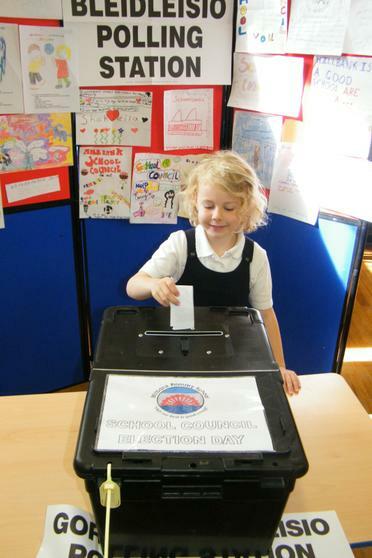 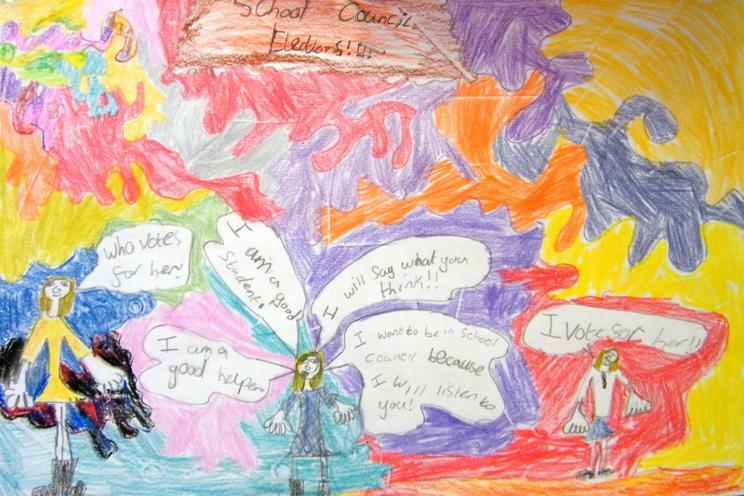 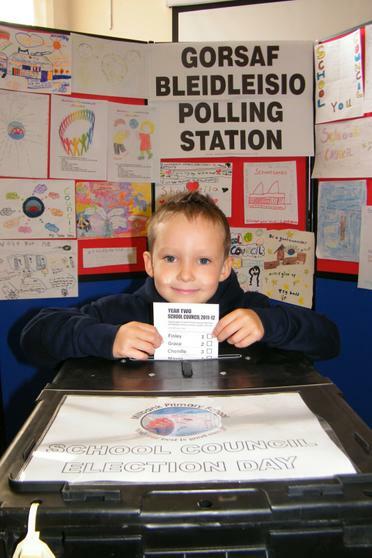 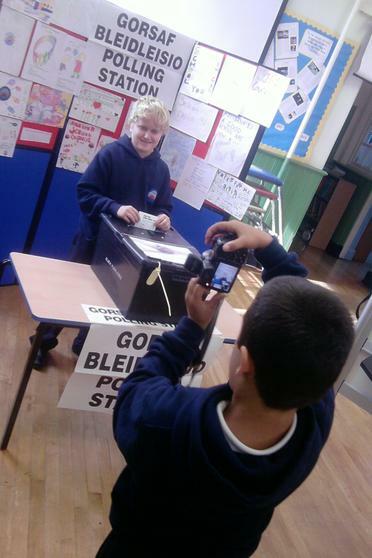 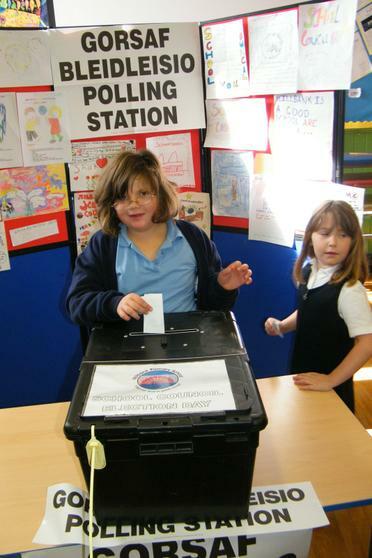 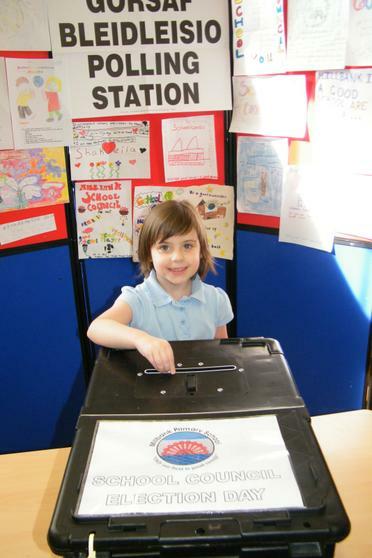 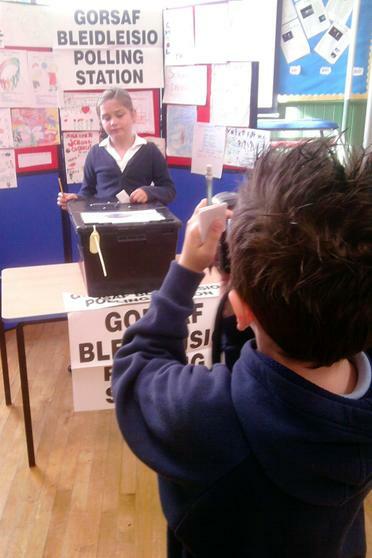 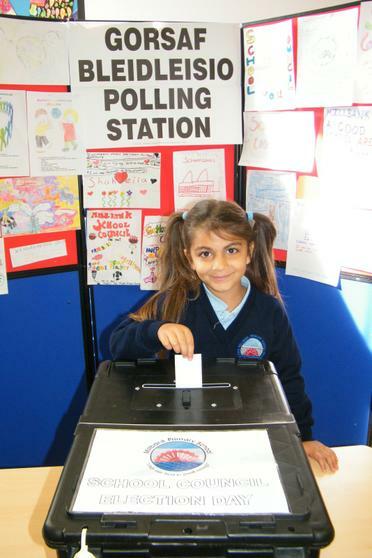 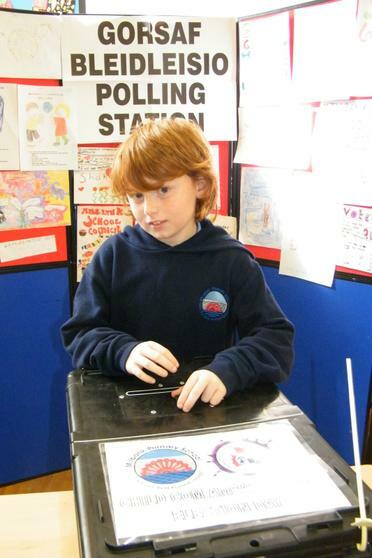 We tried to recreate the look and feel of an election that the children's parents would take part in. 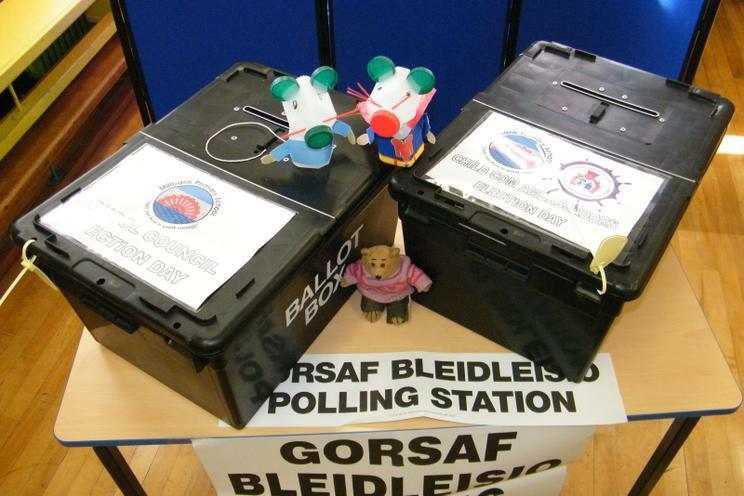 We tried to make the ballot papers look a bit like the official election ones albeit without party logos. 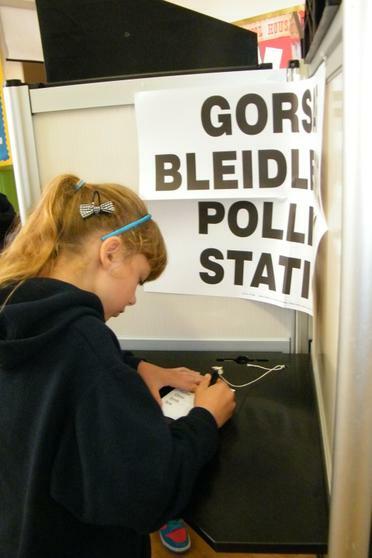 We wanted to make it inclusive by being easy to understand and so added numbers so even if some pupils had difficulty reading the candidates name they could recognise their number. 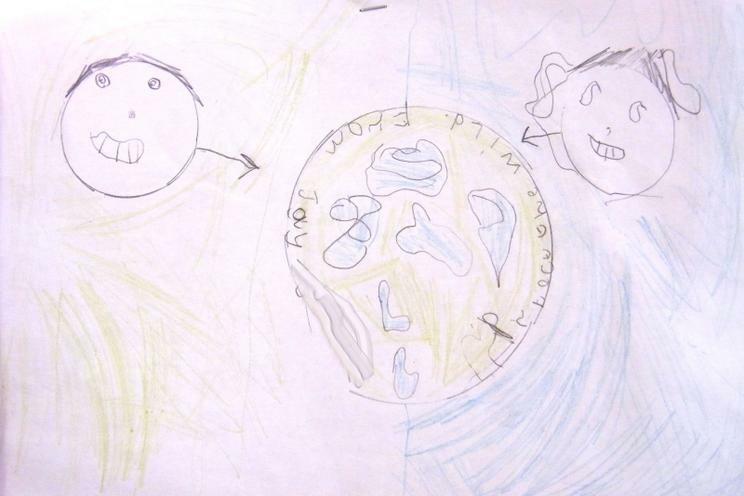 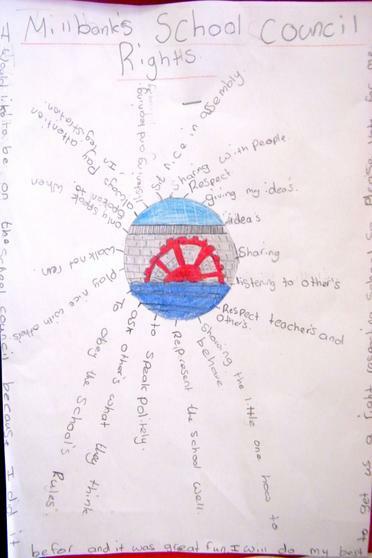 The teachers had explained the process well as there was not one single spoilt paper. 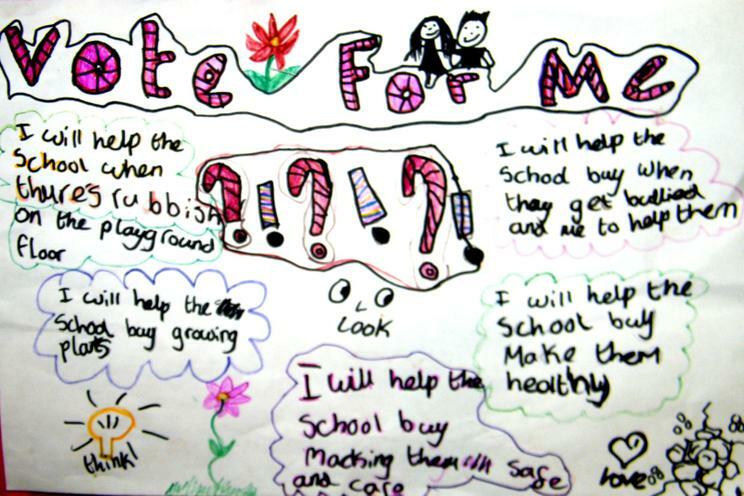 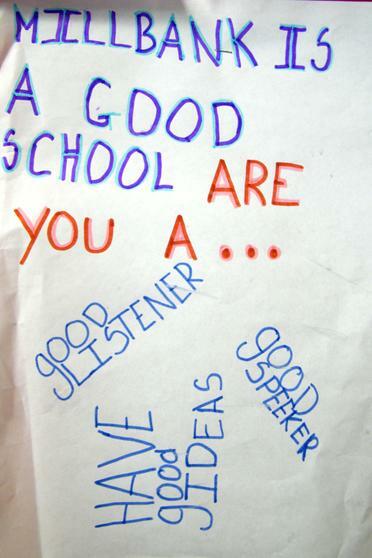 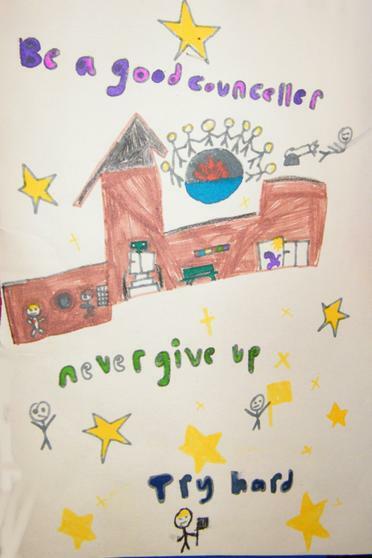 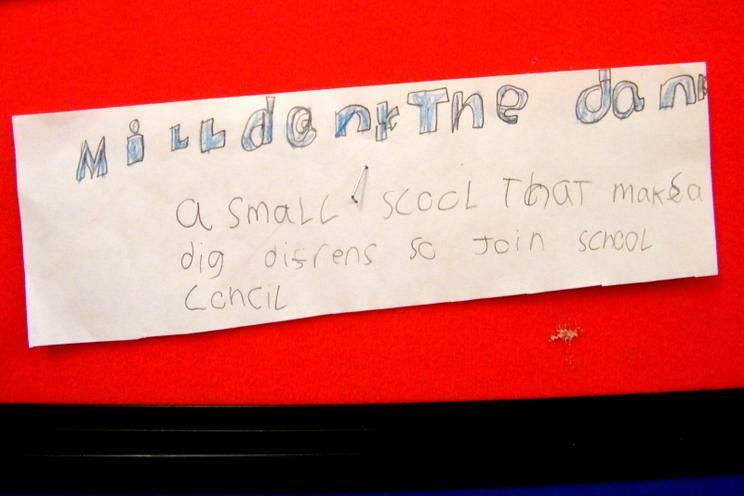 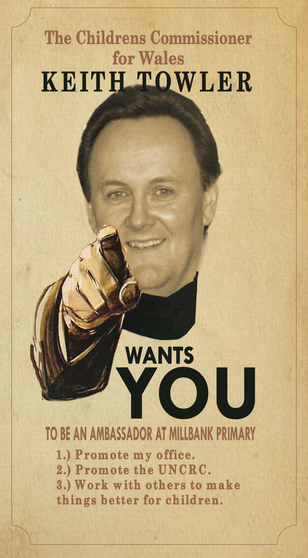 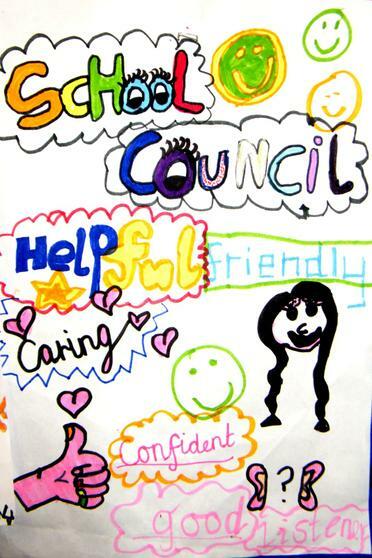 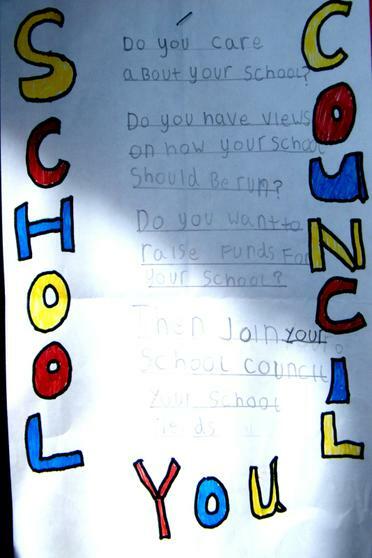 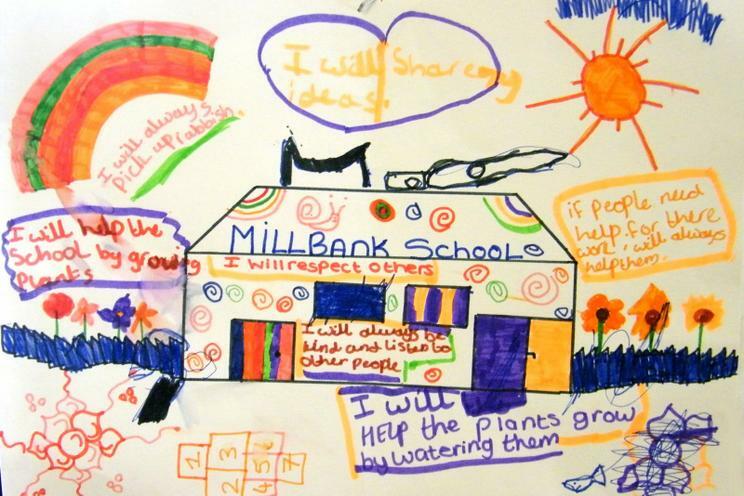 Last week we had our Assembly member coming in to chat about the qualities needed to be a good elected representative and we had asked some of the children to make some posters over the weekend. 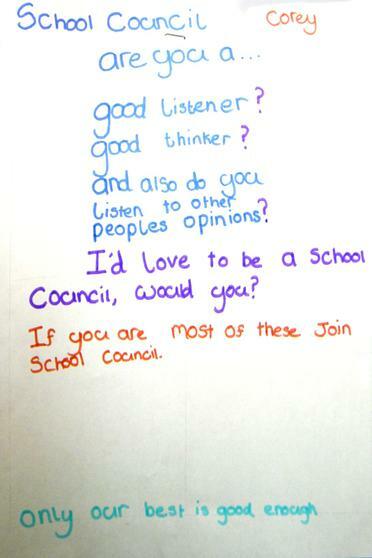 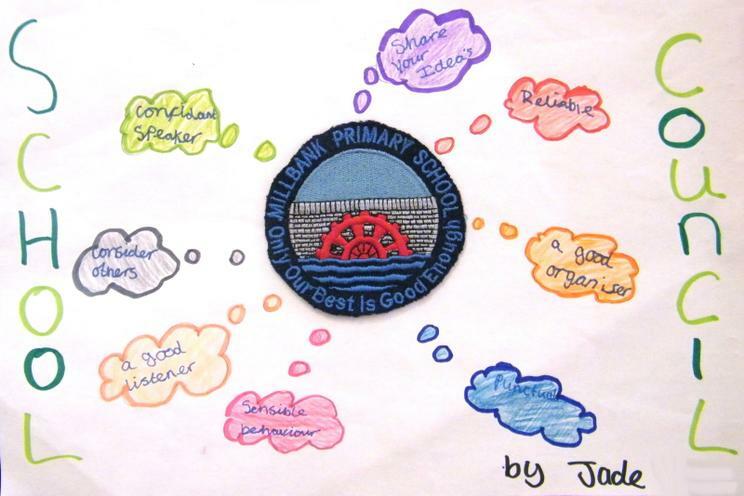 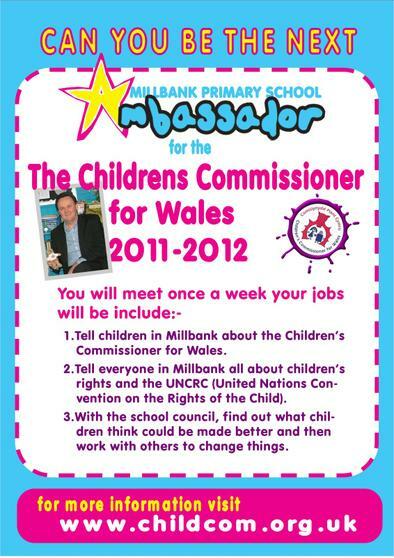 In each class there was a great deal of enthusiasm for the job of Councillor and Ambassador. 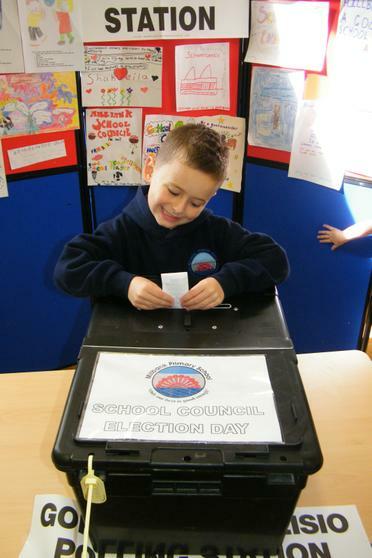 We certainly hope that this will continue after the election and pupils use their class representatives to let the rest of the pupils and staff of their views. 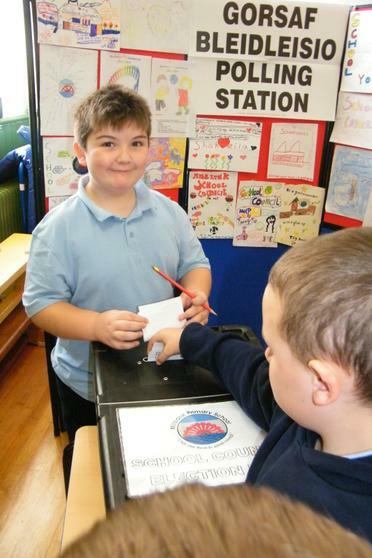 There were some lovely posters. 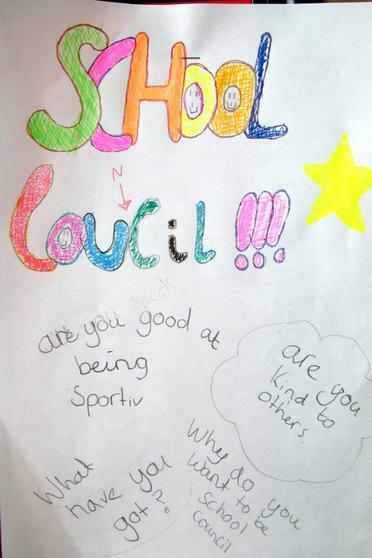 Of course the irony was that School Council are the group that would normal oversee and organise such an event and they were missed. 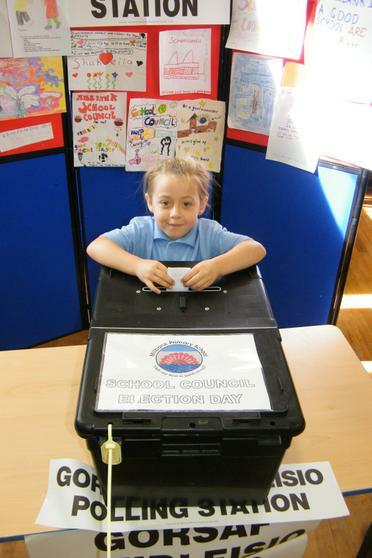 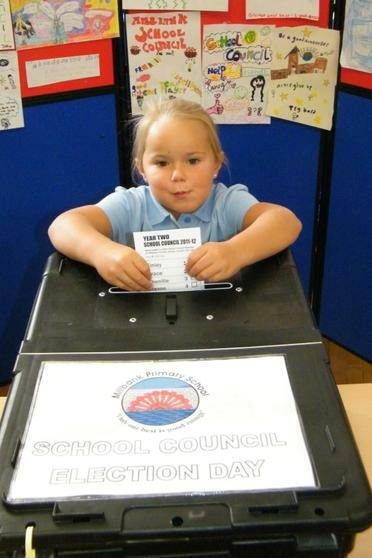 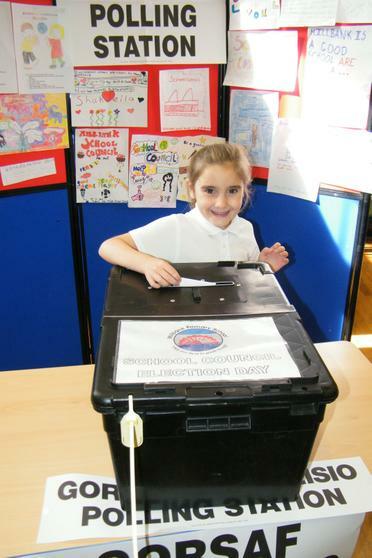 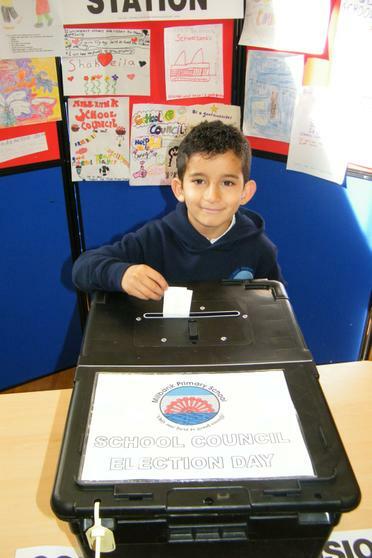 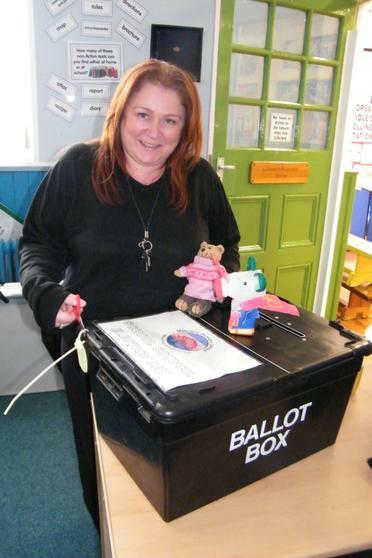 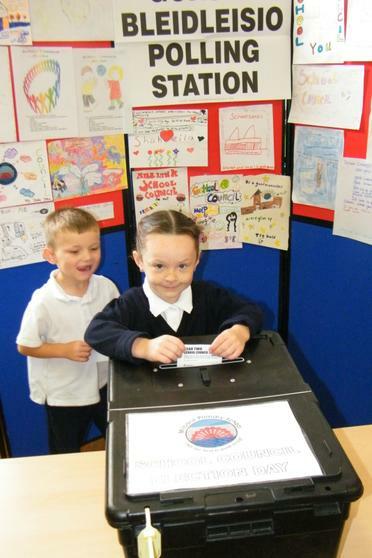 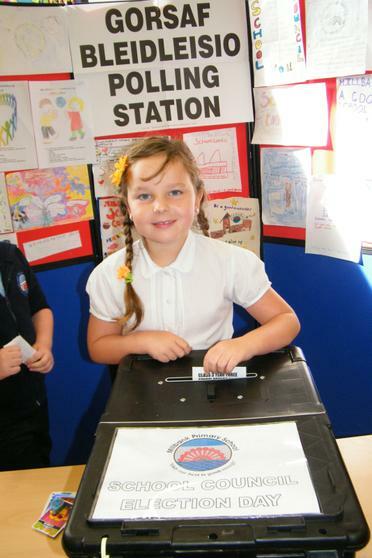 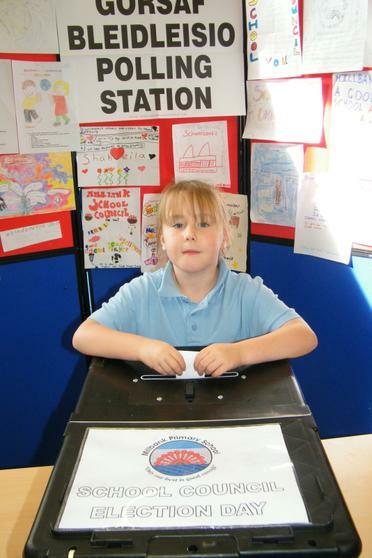 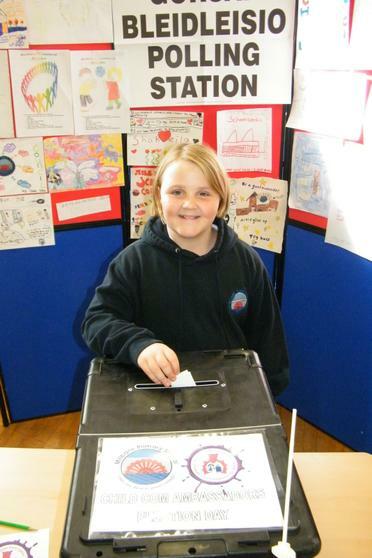 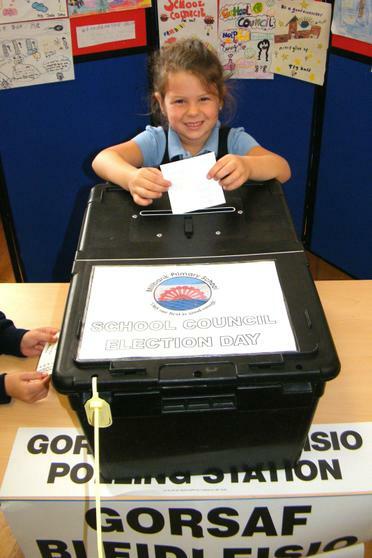 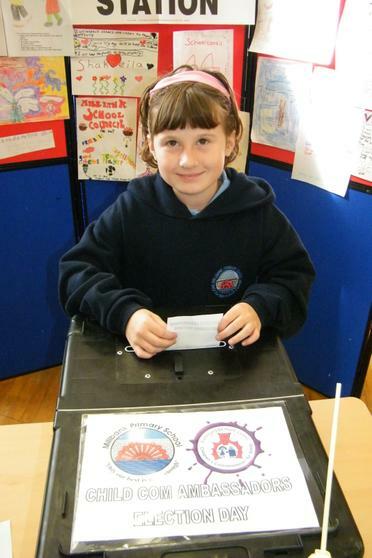 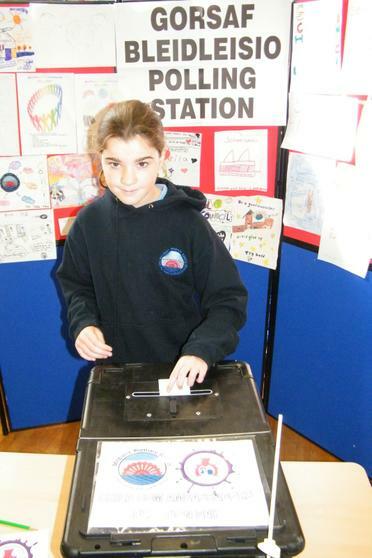 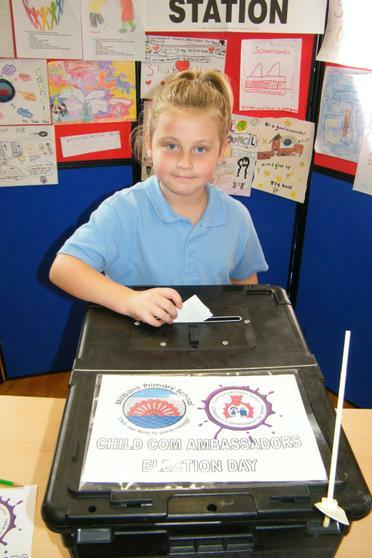 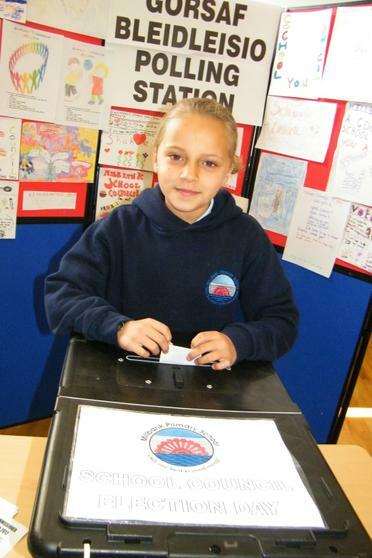 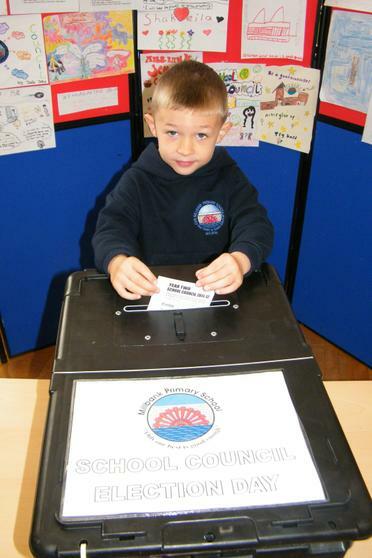 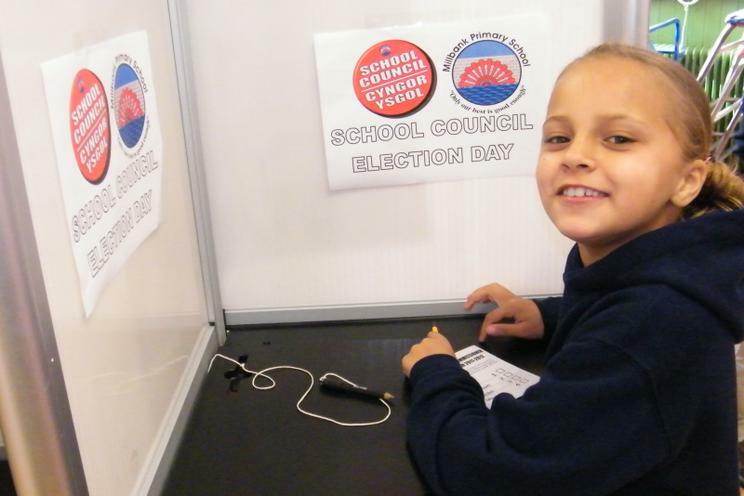 Miss Donovan was our Official Recorder and cut open the sealed ballot boxes so that the votes could be counted. 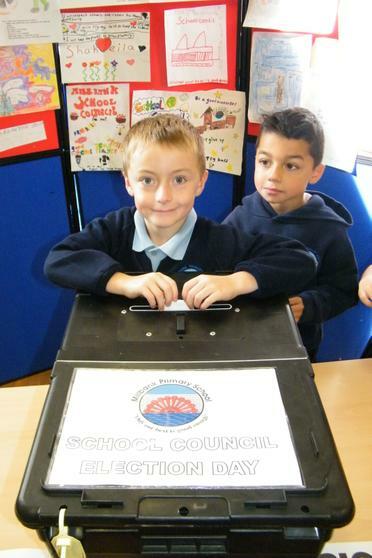 The papers were counted and the winners were announced in a special afternoon assembly at 3pm. 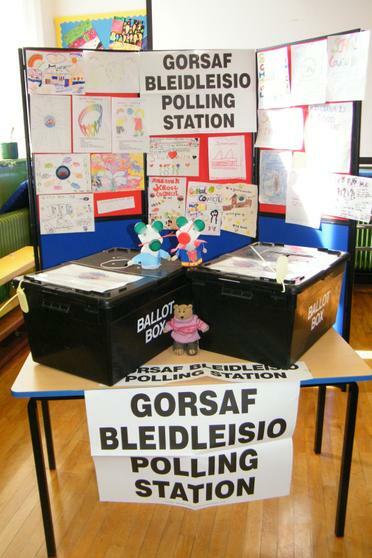 A huge 'THANK YOU" to all the lovely staff at Cardiff Council's Electoral Services for their support and enthusiasm for helping us. 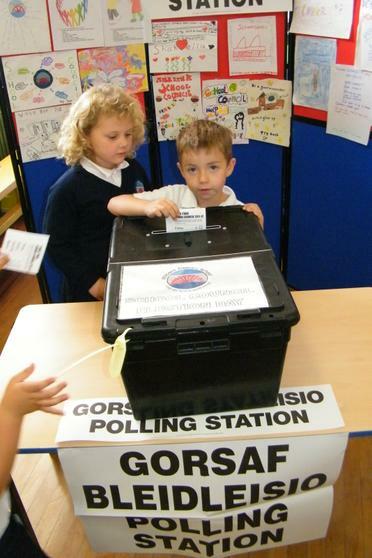 Of course the same goes out to the parents and family that have supported their child's election campaign. 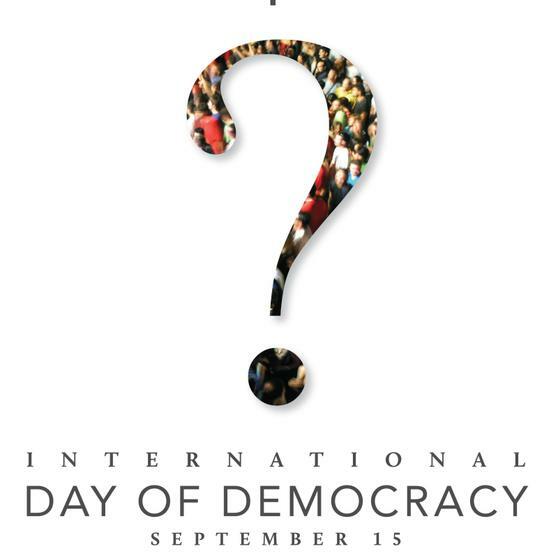 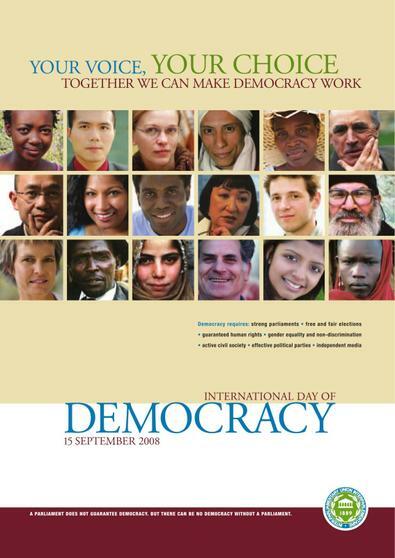 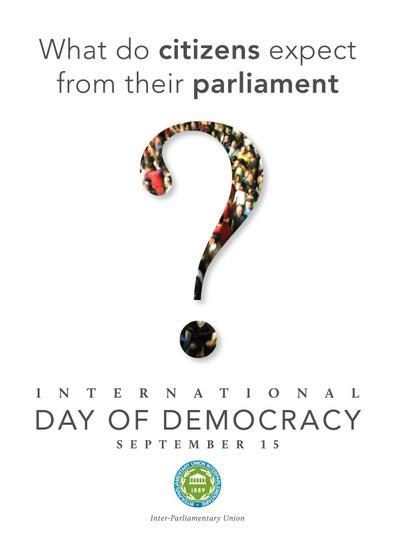 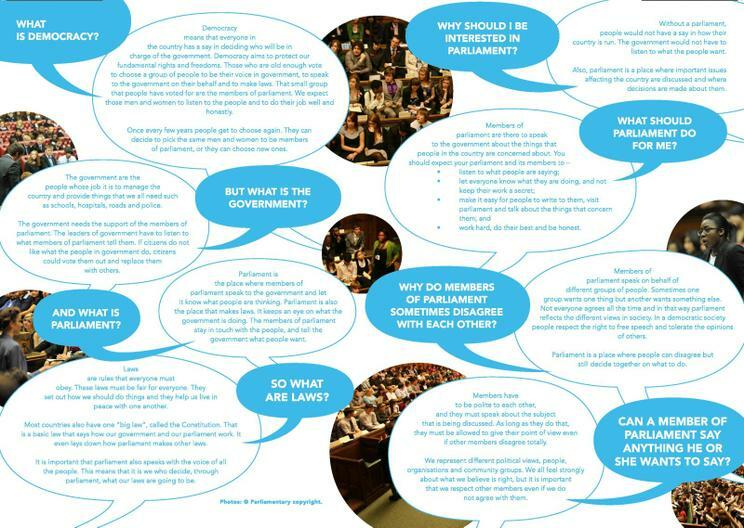 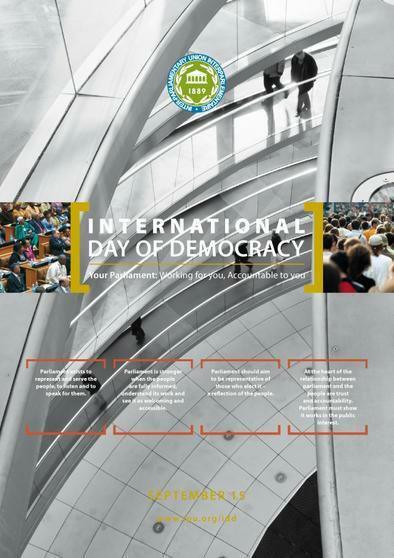 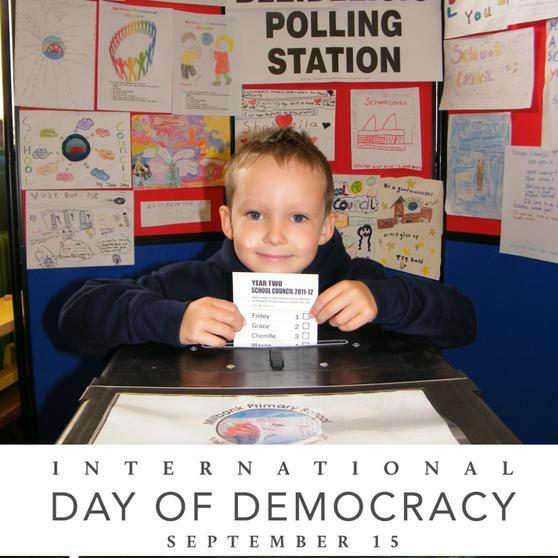 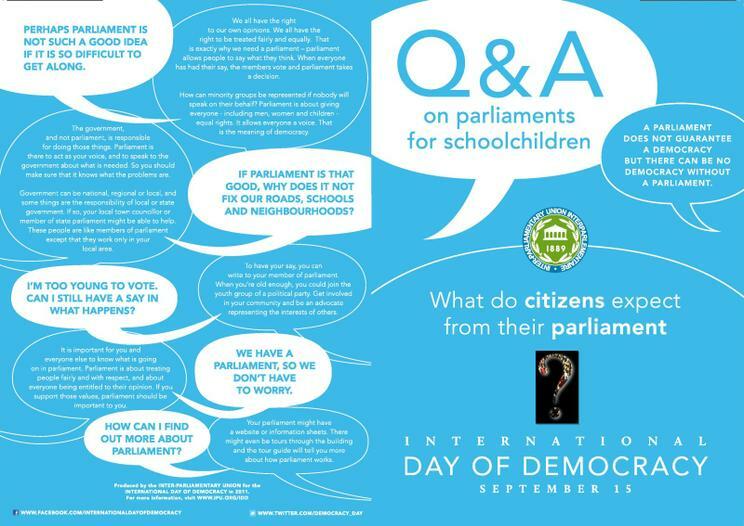 The reason we held our election on the 15th September is because it is the International Day of Democracy and there has been a lot of work encouraging people to engage with society through democracy and their elected representatives. There is a lot of talk about Democracy giving ordinary people a voice and this is just what we want to encourage with the children.